The industrial and logistics park Immopark Košice, which currently provides almost 60,000 m2 of existing warehouse-production premises, will again expand with two more halls. One will be completed by the end of November 2018 and the completion of the second one is scheduled for the first quarter of 2019. The tenant of 15,000 m2 will be Windsor Machine & Stamping, which is producer of seats parts, head restraints and other components for the automotive industry in Slovakia. The remaining 7,000 m2 can be used by new potential clients. 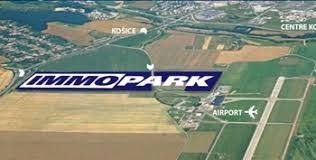 In Immopark reside significant international as well as local companies such as Howe, Faurecia, Ushin, Gefco, Lubemax, PKZ Slovakia and others.